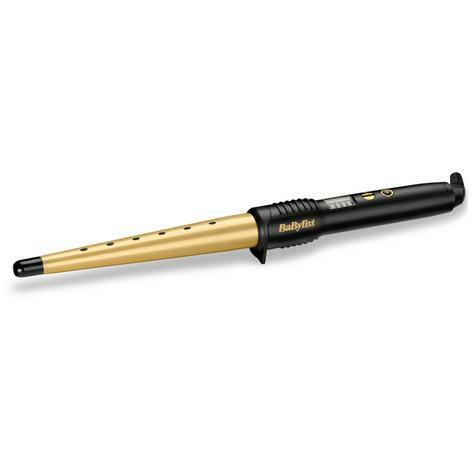 This professional style wand without a clamp, easily creates free-flowing curls with no kinks. 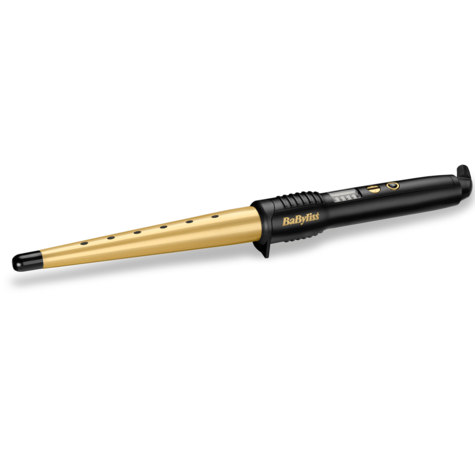 The longer barrel and wrap control gives easy winding with consistent results. 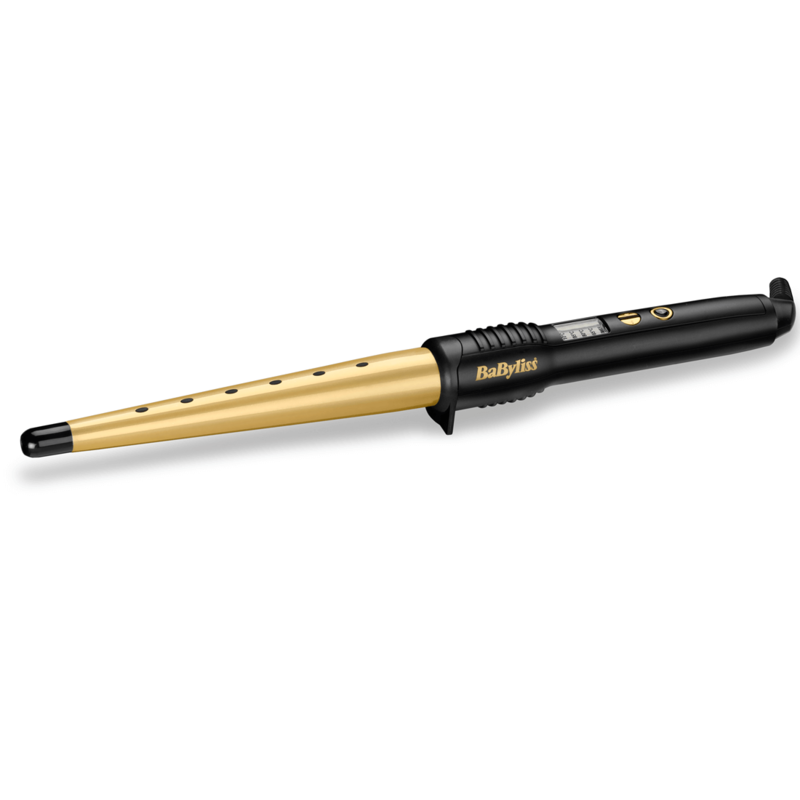 The conical design infused with ceramic and with a blend of camellia and macadamia oils for beautiful curls with a smooth finish. 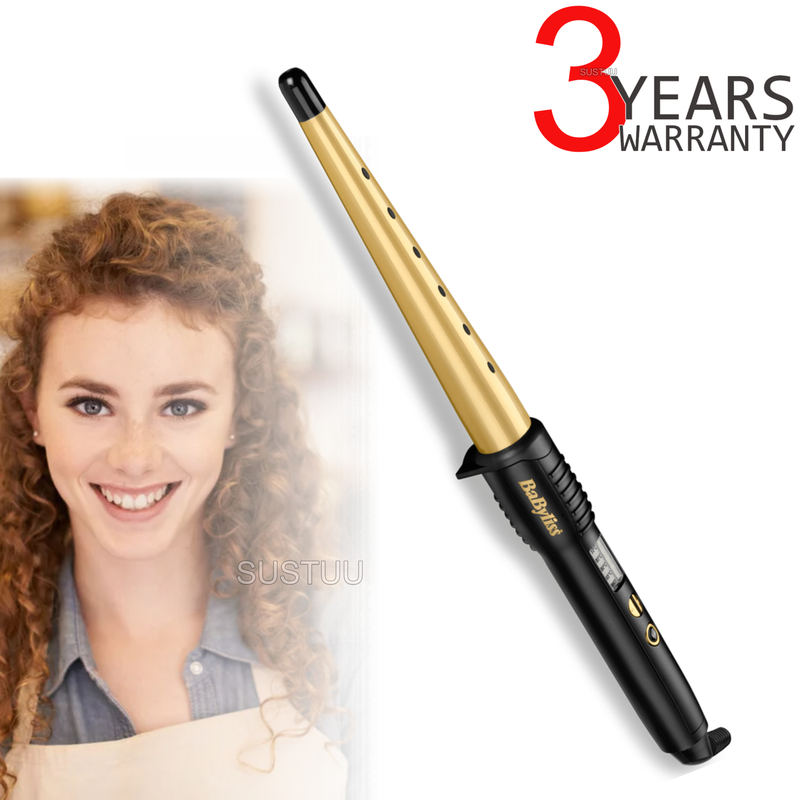 Suitable for all hair types, it features 10 heat settings from 140°C to 230°C. Ready to use in 30 seconds it gives fast result.